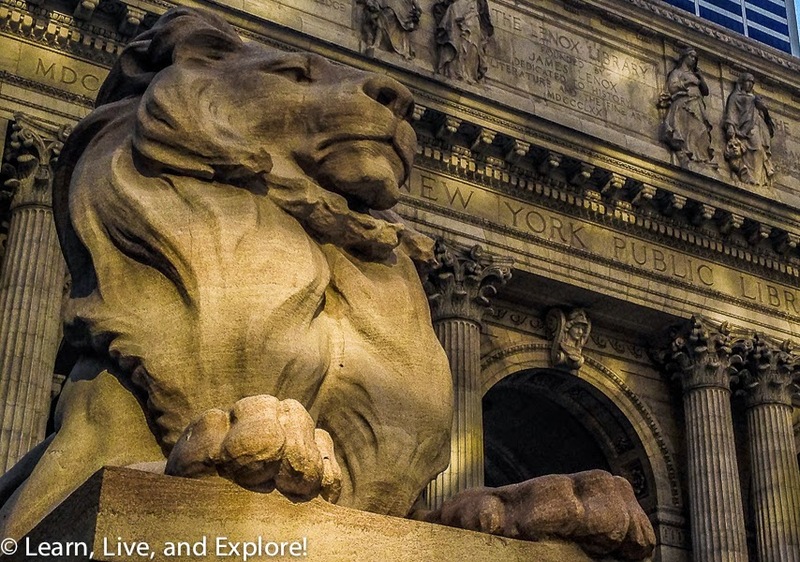 Summer Nights on the Great White Way in NYC ~ Learn, Live, and Explore! 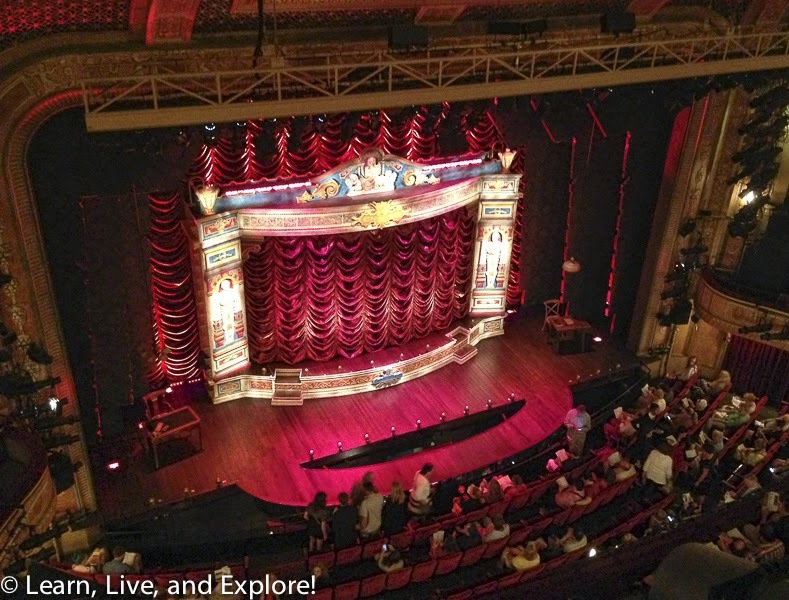 If you've followed my blog for a while, you'll already know that one of my favorite things to do on a free weekend is head up north to New York City to take in some Broadway shows. 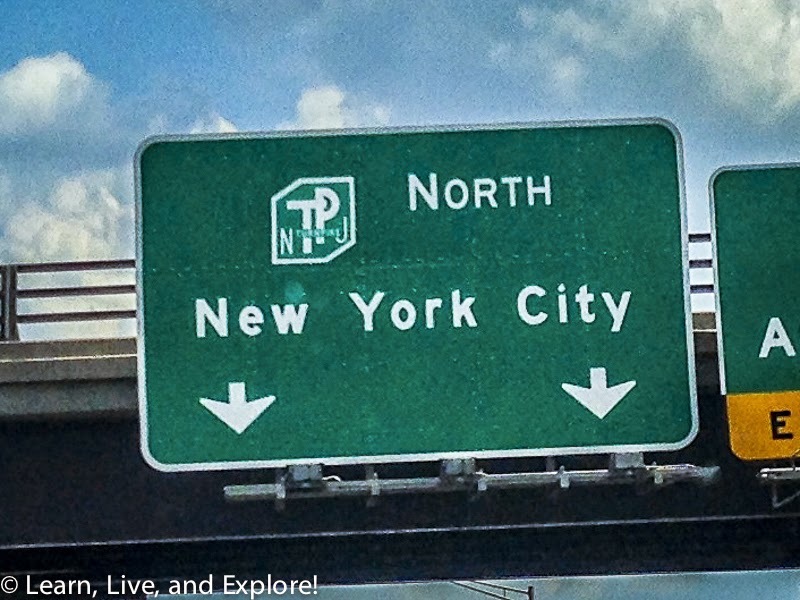 With the Tony Awards in June, I was blown away by some of the performances and knew I was due for a trip to the big apple. The one performance that stood out for me the most was Neil Patrick Harris singing "Sugar Daddy" as Hedwig at the Tonys. The song was stuck in my head for days, and I was determined to get a ticket to this show! If you're not familiar with the Hedwig and the Angry Inch story, it's about a transgender East German singer who is putting on her Broadway debut concert. 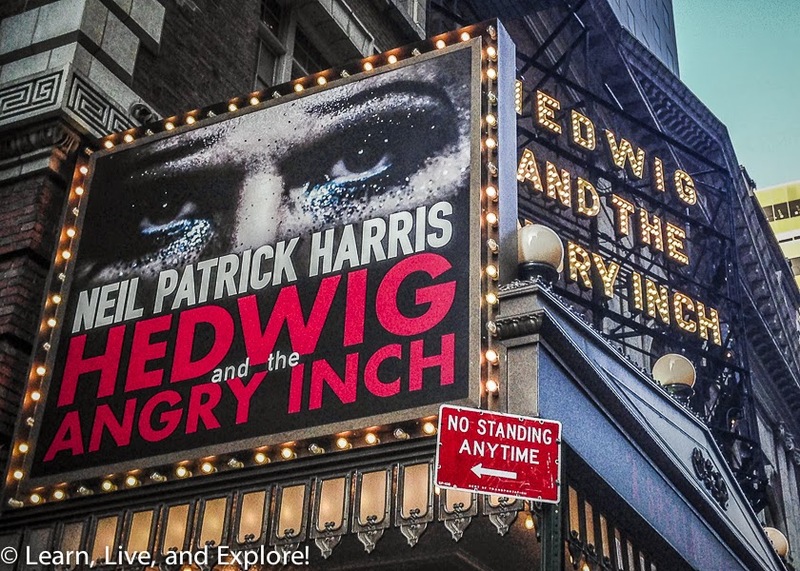 With just two actors and a band, the show successfully transports you into this scenario, and Neil Patrick Harris nails the character of Hedwig right on the head! From the start, he banters with the audience and establishes himself as a real "diva," then throughout the show he tells the story of Hedwig's life. As the clothes and giant wigs slowly get stripped away, even with the big rock numbers and funny quips, you realize it's all a defense mechanism and Hedwig's vulnerability and tragedy become more apparent. Even with the over the top makeup and drag, the story is one that is relatable to anyone, a story of finding someone who will love you for who you are and not what you can do for them. The best part, and a testament to NPH's talent, is that you never watch the show and see the famous actor - you only see Hedwig. Sadly, Harris' run as Hedwig will end in a few weeks, but it was recently announced that Andrew Rannells, who originated the role of Elder Price in Book of Mormon, will be taking over through mid-October. That's another show I don't want to miss, and I already have my tickets! 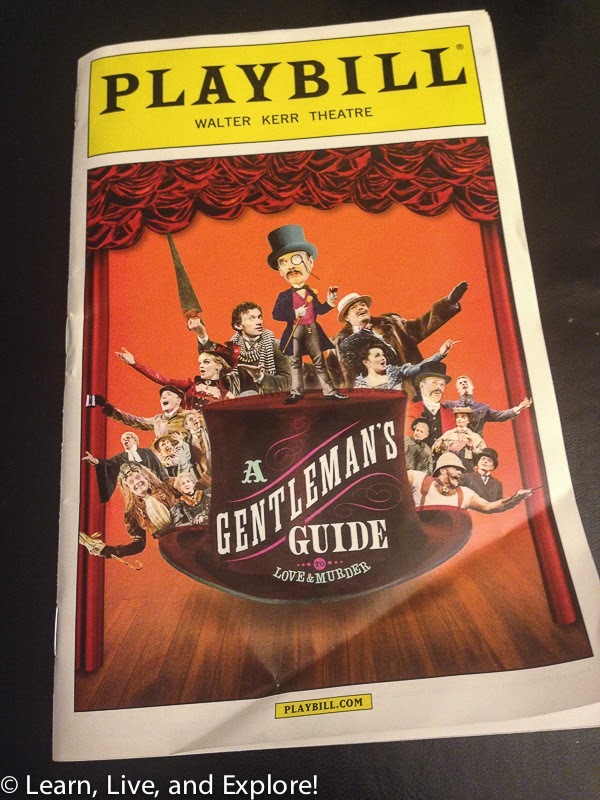 When I go to New York, I really like to maximize my Broadway entertainment, so I opted to see this year's Tony Winner for Best Musical - A Gentleman's Guide to Love and Murder. Set in Edwardian England, this musical begins with a man, Monty Navarro, who discovers after his mother's death that she hid the truth of his aristocratic lineage and that he is 8th in line to the D'Ysquith Earldom. After writing to the family to inform them that they have a new branch on the family tree, he was quickly rejected. At which point, Monty decides to systematically kill each of the D'Ysquith descendants ahead of him in order to take the title himself. What I didn't realize before seeing the show was that the same actor plays each of the D'Ysquith heirs and the current Earl. This actor, Jefferson Mays, is the primary reason for you to get to New York and see this show!! I was amazed at how he was able to distinctly play nine different roles - the energy and mental capacity to do that alone is flabbergasting, let alone the technicalities of all the costume changes! I was exhausted just watching him (from probably the highest seat I have ever had on Broadway, by the way). The rest of the time in the city, I was doing some shopping down in the boutiques of SoHo. If you're a woman and a fan of the growing trend for athletic wear, like Athleta or Lucy, you should head to Mercer Street where you will find a British import, Sweaty Betty, that sells dance inspired clothes. Or, just up the street, a popular Montreal-based fitness clothing store just opened recently: Lolë. The staff at both shops were very friendly and went out of their way to make the experience nice for me...and for my out of shape dog who was none too pleased with the amount he had to walk in SoHo. Least Favorite Street: All streets that make up Times Square because I absolutely abhor the people dressed in the disgusting mascot costumes lurking around and grabbing people for souvenir photos. I saw three Elmos walking in a pack together that totally creeped me out! Can we please stop supporting this trend? Least Favorite Sensory Experience: All of the piles of trash just sitting - and leaking - onto the sidewalk waiting for the overnight trash fairy to pick them up.